E & Y: "its Not Looking Good For The Housing Market"
The housing market was flat in May with the number of mortgages approved for house purchase broadly unchanged, according to the Bank of England. A total of 49,815 loans were approved for people buying a property during the month, down on both the average for the previous six months and the recent peak of 59,338 reached last November. "It is not looking good for the housing market," said Hetal Mehta, senior economic adviser to the Ernst & Young Item Club. "Although mortgage lending picked up, the increases are very small, and this adds to the picture of a subdued market. House price indicators are showing mixed signs right now, which suggests we may be at a turning point." Total mortgage advances reached their highest level this year at £12.29bn, the Bank of England said, but lending was still down on the levels reached in the final months of last year when people rushed through purchases before the end of the stamp duty holiday. Howard Archer, chief UK and European economist at IHS Global Insight, said: "The data ... provides further support to our suspicion that house prices will struggle to make significant gains over the coming months." Vicky Redwood, senior UK economist at Capital Economics, said the figures provided further evidence that the housing market recovery was "flagging". "There are also now tentative signs that the increase in prices is running out of steam. We still think that the market will weaken in the second half of this year," she said. The number of people remortgaging fell further during May, with just 25,759 people switching to a new deal as most homeowners continue to be better off staying on their lenders' standard variable rate. But there was a slight pick up in the number of people releasing equity from their home or taking out a buy-to-let mortgage at 24,656. Unsecured lending rose slightly during the month, with outstanding debt increasing by £331m, after contracting by £114m in April. Building societies continued to have a difficult time during May, with net mortgage lending by the sector contracting for the 17th consecutive month, as homeowners repaid £588m more than they borrowed. There was also a fall in the amount of money people had deposited with building societies, following a rise in April. Consumers withdrew £576m more than they saved with mutuals during May, according to the Building Societies Association (BSA). Adrian Coles, director-general of the BSA, said: "It is perhaps unsurprising that there will be outflows in some months given the low level of the Bank rate and as savers look to pay down debts or seek greater returns from higher risk investments." Leave our house prices alone! The last two years sales have been roughly 1/3 of historical normals. It will only look good once wages and prices return to sustainable levels. Which, ironically, groups like Savills seem hellbent on avoiding. but..but.. the dean of Manchester Business School was on the radio before saying house prices would go up. Dr. Franz Von Krappenschitz of Tubingen Management School thinks they will fall. The difference between the two is that the Mankieman has a BTL portfolio he is renting out to students and Franz rents. Academics are usually clueless. Buffett has been out there and is still doing it and speaks from hands on experience. "our suspicion that house prices will struggle to make significant gains over the coming months"
Yawn. Prices are almost back to their boomtime peak, unemployment is rising, stock markets are collapsing, and Paul Krugman reckons we're about to enter another depression, and that's the best they can come up with - a suspicion that prices will struggle to make significant gains. That must be a very comfy fence they're sitting on. These feckwits get paid to churn out this drivel. That can't just offer better rates. The rates are high compared to the base rate to cover the risk of loss to the bank. They know Mortgage lending is high risk, and the higher the risk the higher the rate. 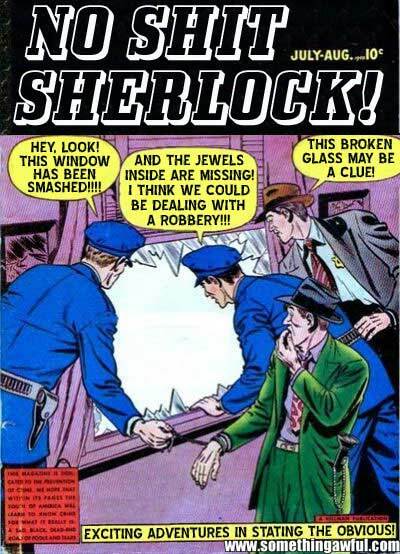 A rejoinder to the contributors of that report: "No s*it Sherlock!"